Call A to Z Entertainment, Inc. today for free information about how to hire or book Christian music singers, JJ Heller. We are your best agent and talent agency for booking and hiring top Christian musicians, JJ Heller! We book or help you hire any live professional entertainment you want, to include – Gospel and Christian musicians and Christian music singers. We also help you plan and produce your show, so call us today at 888-655-4575 and we’ll be happy to help you. When life suddenly becomes a few shades darker, how do you make sense of it? Where do you put the pain and confusion? 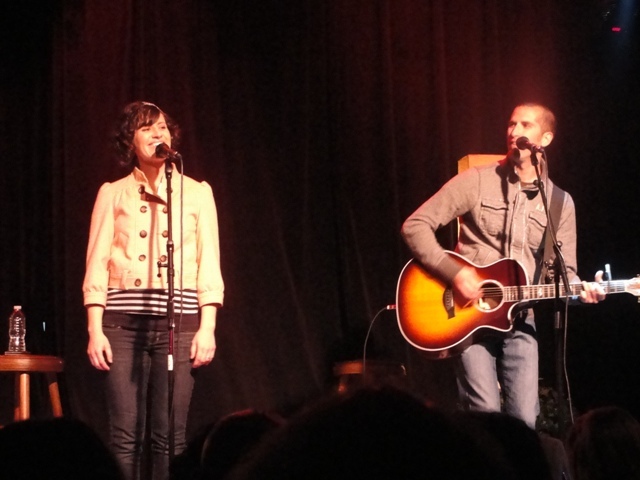 When faced with a series of tragic events, JJ Heller and her husband; co-writer, Dave, decided to pull out their songwriting book to process the hurt. The culmination of these songs eventually became their sixth studio album, LOVED. In previous years, the duo steered much of their material toward life’s whimsical and simple joys of love and new parenthood. However, when illness, death and broken marriages entered their community, the Hellers chose to stay true to the weight of their season of life when crafting new lyrics and melodies. The album’s lead single “Who You Are” sets the tone for the record as a reflective, storytelling ballad that’s become signature for JJ Heller songs in light of her previous, Top 10-charting radio releases “Your Hands” and “What Love Really Means.” The Hellers finished the song in the wake of Dave’s brother’s life-ending battle with cancer. “Who You Are” made a near-immediate impact near New York City when local Christian radio station Star 99.1 FM chose to play the song hourly for the entire weekend following the horrific shootings at Sandy Hook Elementary in Newtown, CT as a comfort to listeners. Under the production of gifted collaborators Ben Shive (Andrew Peterson, Bebo Norman) and Cason Cooley (Katie Herzig, Matthew Perryman Jones), LOVED departs from the grounded, folk-pop consistency of previous records, and instead explores a more expansive sound, both instrumentally and vocally. In spite of the growth and evolution of the Heller’s craft, LOVED, serves as a shining example of what’s driven JJ Heller fans to her music for nearly a decade, and why her audience continues to enthusiastically grow: honest invitations into the heart and soul of an everyday wife and mother pursuing truth and desiring a perfect love. We can help you book or hire any Gospel or Christian musicians and any Christian and Gospel music singers and bands. We’re your best agency and agent for hiring and booking JJ Heller, so call 888-655-4575 today and we’ll be happy to help you. A to Z Entertainment, Inc. is not the exclusive booking agency for any live entertainers on this site.